AirAsia Malaysia chief executive officer CEO Riad Asmat and AirAsia X Malaysia CEO Benyamin Ismail said the airline was not surprised by another legal response from MAHB to its press statements. “We are puzzled that the airport operator continues to use its dominant position and the threat of legal action to stifle and suppress fair comments,” AirAsia said in a statement today. “We would like to reiterate that we have only been responding to suits filed by MAHB over the passenger service charge (PSC). 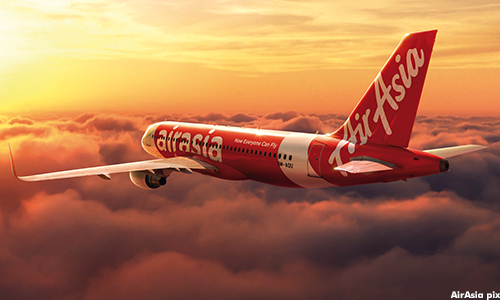 In furtherance of open dialogue and an amicable solution, we offered to mediate as required under the Malaysian Aviation Commission Act to resolve all outstanding issues; however, MAHB summarily rejected this overture,” said AirAsia. “Nevertheless, we stand by what we have said and maintain that the current threat of legal action is unwarranted. “We will avail ourselves of all avenues to defend ourselves against all actions, whether through mediation and arbitration as the law requires, or in the courts of law as MAHB seeks,” it added.